Home » Lee Edition » Do you REALLY Need a Professional to Help You with Medicare? 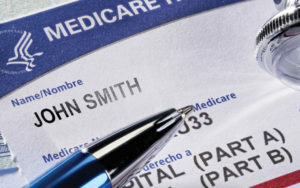 Do you REALLY Need a Professional to Help You with Medicare? Medicare is a sophisticated system but maneuvering your way through the maze is the tricky part. You’ll want to have the best coverage based on what your income will allow. Having the assistance of a qualified broker is essential to making sure you choose the right options for you and your loved one. When an individual turns 65-years-of-age, most people are automatically enrolled in Medicare Part A. First-time enrollees need to know their options. For example, Part B is important for most individuals because it combines physician and out-patient services. When you enroll in Part B, you’ll need to decide on a monthly or yearly premium that fits your lifestyle and healthcare needs. Medicare only covers about 80% of Part B expenses. You are responsible for the other 20%. Because Medicare only covers approximately 80% of Part B expenses, most individuals will need to enroll in supplemental coverage to cover the cost associated with outpatient services. When you opt to enroll in Medicare Part C (Medicare Advantage Plan), it combines Part A, Part B and sometimes Part D coverage. This is similar to PPO & HMO plans, which have co-pays or deductibles instead of the 20% balance that Medicare does not cover. The benefits depend upon the policy you select. Advantage Plans cover things like dental, vision, and prescription drugs. Medicare enrollment is three months before your 65th birthday to three months after. If you are automatically enrolled in Part A, that will begin a few weeks before your birthday. An October through December timeframe is an enrollment period to making changes to your plan like if you need additional coverage or decide to move, for example. Moving: Whether you’re moving out of state or making a town move within Florida, there are opportunities to change your plan or to enroll in a new plan if necessary. SEP or Special Enrollment Period allows you to change your policy outside of the OEP (Open Enrollment Period). Typically, you have 60 days to change your plan if you move. This allows you to either keep your existing plan or enroll in new coverage. Having an experienced agency guide you through this intricate process is ideal so that you and your family are certain not to be left without coverage. Ballo Insurance and Associates Inc.
Insurance issue and changes can be confusing. Trusting just any run of the mill company is often intimidating for most individuals. How do you know you’re getting the best advice? Ballo Insurance and Associates Inc. is trusted because of their impeccable service and commitment to their clients. They form life-long relationships with their clients, and the results are what keep them in the forefront of the community. Ballo Insurance and Associates Inc., specializes in Medicare solutions and offers a wide range of options from many carriers to help you find the best fit. From Medicare Advantage, Medicare Supplement and Part D Prescription Drug Plans it’s important to understand the choices you have in plans and how those choices can affect your health and budget. Serving S.W. Florida for over 30 years!